I installed the extension through the extension manager for Photoshop CC but I do not see the extension in Photoshop? Is there something I did? I cannot figure it out as it says it is installed. This question has been resolved, view the correct answer now! Need a visual? Watch our step-by-step tutorial! %userprofile% will default to your current User directory on Windows. APPLE FIX: There is a bug with MAC and zip files where they can run into loops and create a .cpgz file – fix the zip error. 4. 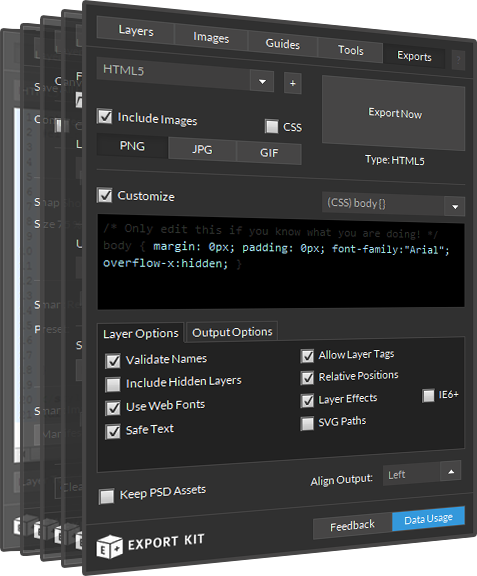 Restart Photoshop, Illustrator or InDesign - then enable the plugin. TIP: Enable Hidden Files and Folders for Windows or Mac if you do not see the AppData or Application Support folder. TIP: Enable File Extensions for Windows or Mac if you do not see .zxp in the file name. Read our online guide to learn how to install the UI Builder elements and the Virtual Scripts templates - learn more. Please contact us: http://exportkit.com/contact – and support will guide you with your issue. We have found that some users have modified the .zip file before its copied to the CEP directory – DO NOT MODIFY the contents after you extract them. 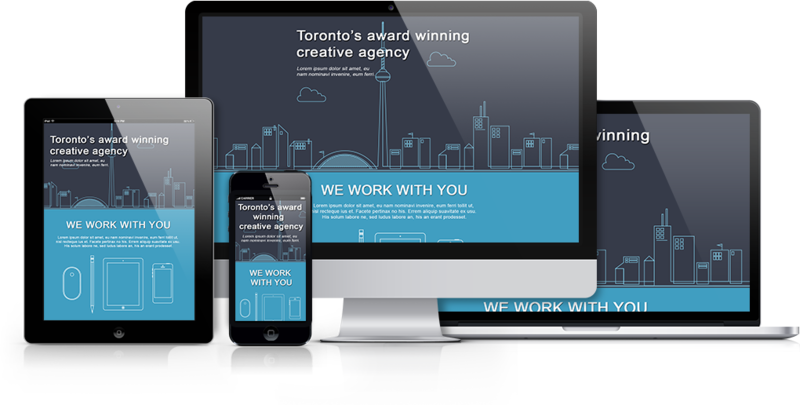 Once you re-extract the files and copy them to the location, you can re-start Photoshop. If your LightningStorm_CC2015 directory does not look similar to the sample image in the instructions below - WITH THE SAME TIME STAMPS, then you modified the files. These are the developer directories for Adobe plugins – so once the files are correctly placed, you can then enable the plugin inside Photoshop: http://exportkit.com/learn/getting-started/installation (step 4). Download: http://exportkit.com/downloads (if you have the original zip file, you can simply re-extract from that one). This still does not seem to allow me to install . Any advice? We have had a report of this previously (MAC), the reason may be that you unzipped the contents and got the .cpgz error – then applied the fix to the current folder, this will not work because the files are no longer in sync. FIX: Re-download the plugin once again and use the solutions (look below in the instructions) with the fresh zip file. Is there anything else I have to do to get this extension working? 2. Change the name of the plugin extension to "zip", eg. "LightningStorm_CC2015.zip"
3. Extract/Unzip the contents of the file to a new folder, eg. "LightningStorm_CC2015" - note: the folder name does not matter. APPLE: There is a bug with MAC and zip files where they can run into loops and create a .cpgz file – fix the zip error. 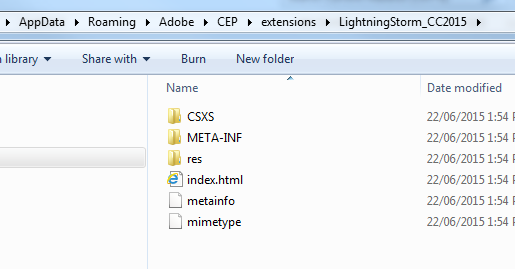 EXAMPLE IMAGE: Your LightningStorm_CC2015 folder after unzip in the CEP\extensions directory (WIN). 4. 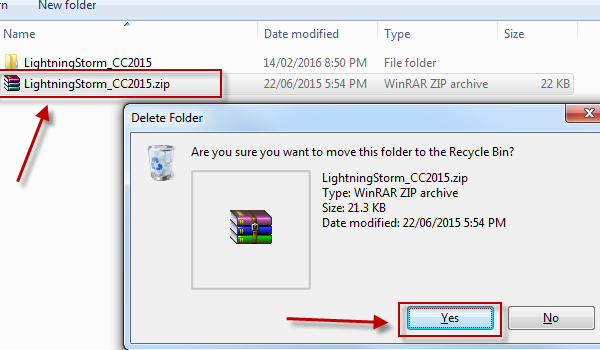 Copy the new folder "LightningStorm_CC2015" to your CEP extensions directory (create the CEP folder if not present - this is required for CC2015) – then restart Photoshop (or any other CC program). 4. Copy your ”extensions” folder directly from CEPServiceManager4 to CEP – then restart Photoshop (or any other CC program) and your previous plugins will now work with the new version. OPTIONAL: Or you can copy the Export Kit plugin only… do you really need another!? Looking for another answer? View other questions in Install Photoshop Extension or get premium support for guaranteed results. How can I activate trial mode? Contribute to the community and help other users to benefit from your answer with experience and knowledge.